OCBC Bank has launched a new brand promise campaign with the tagline Simply Spot On (深知你心，更合你意). The bank insists that the new brand promise is not a marketing campaign, but rather the bank’s pledge to customers that it will make the effort to listen to them, truly understand them, and come up with the most appropriate solutions to meet their needs. OCBC declined to comment on the amount spent on the new tagline. The brand promise has been the focal point of OCBC Bank way before the launch of the tagline. The pledge to be Simply Spot On cuts across everything the bank does – its products and processes; channels and capabilities; client service and interaction; and in its suite of digital offerings which aim to give customers the fastest, most convenient and seamless experience digitally. The design of the campaign logo (above) symbolises the brand promise. 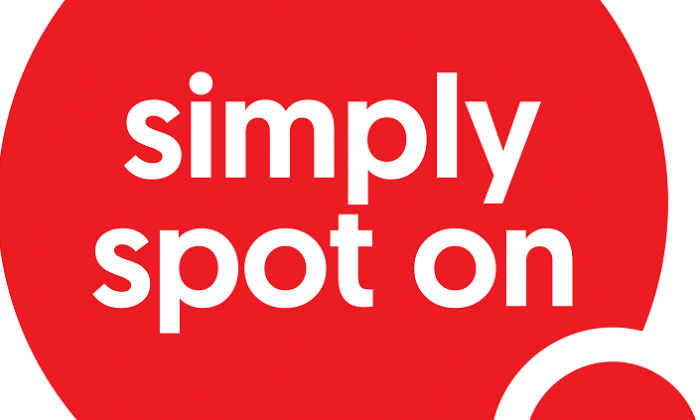 The smaller circle is a reminder to OCBC Bank staff that everything they do – even the smallest thing – matters when it comes to delivering a Simply Spot On experience to customers. 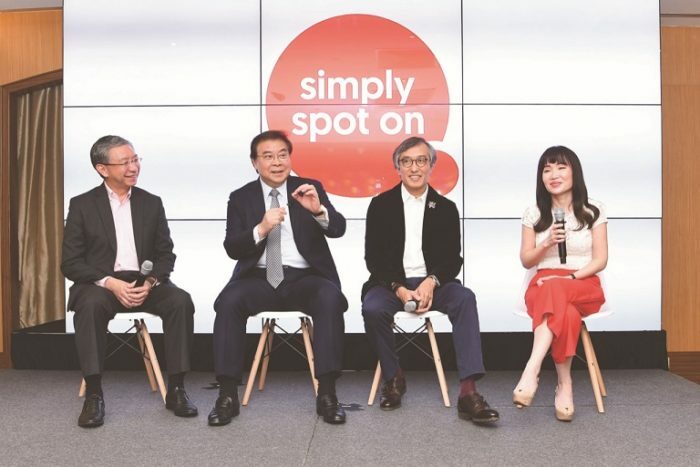 By getting everything right, it will all come together to form the bigger circle, which represents the Simply Spot On experience with OCBC Bank. The brand promise campaign features a 90-second brand film directed by film-maker and director Bertrand Lee. The film revolves around several customer segments such as a couple expecting their first child; parents with grown-up children; entrepreneurs planning their next move; savvy investors making their next investment; and seniors planning their retirement. These profiles cover a wide spectrum of Singaporeans and reflect OCBC’s commitment to be there for customers through every stage of their lives, truly understanding their needs. There will also be three other films which take a more in-depth look at three particular sets of customers – parents, entrepreneurs and investors. These highlight how OCBC takes the time and effort to truly understand customers in order to provide solutions which are Simply Spot On for them. These three films will be released over the next few weeks on the bank’s social media channels and on its brand promise page. The brand promise campaign will be rolled out over three months using an integrated, multi-channel communication strategy. Apart from advertising on paid media such as print and television as well as at outdoor locations, a significant portion of the media campaign budget will go towards digital and social media channels to reflect the media consumption habits of customers. The campaign will also be pushed out on OCBC Bank’s owned media such as at its branches and digital platforms. He added that with customers today wanting their bank to be reliable, knowledgeable and serve them beyond that one transaction, OCBC Bank came up with the tagline Simply Spot On to address in one concise phrase how it aims to be that bank for customers. The tagline was tested and refined with more than 2,400 respondents over many research sessions including an Implicit Association Test methodology that captures spontaneous emotional responses. Most found the line simple to understand, inspiring and memorable. Last year, the bank launched its “Stay True” campaign, which champions the idea that the bank will always advertise honestly and truthfully to customers. In 2007, the brand campaign “Stay Curious. Ask OCBC” set out to intrigue non-OCBC customers to have a conversation with the bank and give OCBC Bank a try. Independent research by the likes of Bain Consultancy and J.D. Power show that OCBC’s primary customers are most satisfied with the bank but that non-customers do not know the bank well. OCBC Bank has endeavoured to be Simply Spot On in its digital offerings by being the first bank in Singapore and the region to launch many solutions that are useful and meaningful to customers. In recent years, the bank has launched innovative features for both retail and business customers: allowing bank transactions to be made using Apple’s voice-controlled personal assistant Siri, enabling customers to find out more about its services by simply talking to Google Home, allowing for instant account opening online by assessing Singapore’s national data repository, and making it easier for users to log in to their mobile banking apps using facial identification or fingerprint recognition on the Apple iPhone X. The bank was also the first bank in Singapore to set up its own Artificial Intelligence (AI) unit in March this year. OCBC Bank’s key markets are Singapore, Malaysia, Indonesia and Greater China. It has more than 570 branches and representative offices in 18 countries and regions. LOOK Are you into yoga? Brenda Chuah, associate director, Starcom MediaVest Group shares with Marketing the biggest challenges in socially navigating a mu.. Titled "Winter Reunion", the campaign seeks to increase Hong Kong’s visitor footfalls during the holiday season by targeting the M..